Enter to win one of two signed copies (will be mailed out in mid-April)! Like many authors, I was the kid who loved to read and write. I can remember thinking as a child that I'd love to be an author when I grew up, but it did not seem like a practical choice. It wasn't until I had my own children and when I was once again surrounded by books for kids that I started to consider writing them. I was already a elementary school teacher at that point so it felt like a natural extension of that career. 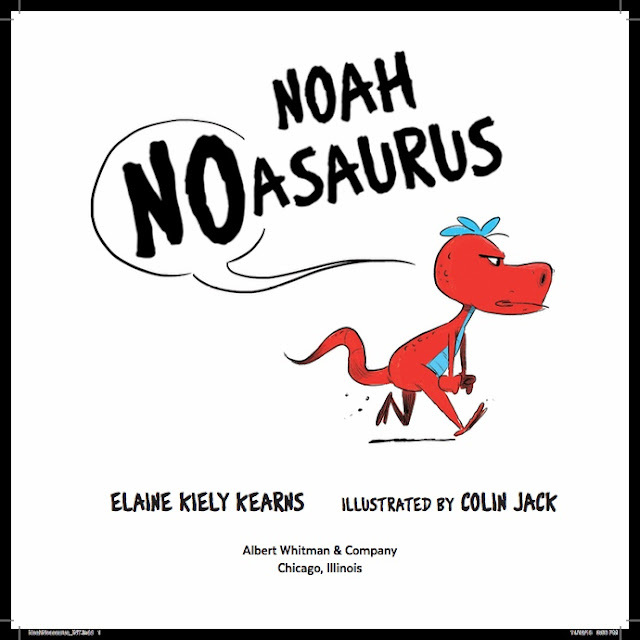 Congrats on your debut picture book, NOAH NOASAURUS (illustrated by Colin Jack). Tell us about it and what inspired you. Noah Noasaurus is the story about a little dino who wakes up feeling very NO. No to brushing his teeth. No to eating breakfast. And definitely NO to playing with his little brother. Things only get worse when he goes for a walk and the relentlessly cheerful Toby Rex, Brian Brontosaurus, and Ava Ceratops follow him. Together, the group starts a bona fide dino parade that even Noah can’t resist. This lighthearted, whimsical story will have readers laughing along at Noah and his friends—as well as at their own bad moods. I got the idea for this story in two parts- on two separate occasions. The first idea came when I was scrolling through #MSWL and I read that an editor said that she would love to see a picture book about kids going through the NO stage. The second part was born when I was tutoring a first grader who was OBSESSED with dinosaurs. I started out each session by letting him tell me about some new dinosaur factoid that he had learned the previous week (so we could then focus on the task) and this one particular week he started to tell me about a new dinosaur that had been recently discovered called a noasaurus. I felt the hair stand up on my skin! I knew when he said it that it was the character I was looking for and so I married the two ideas. I could not wait to get home that day and write. I had a draft done in a few days. I sent it to my agent, Linda Epstein (Emerald City Literary Agency) and she loved it. A few weeks later we added the first name. We chose NOAH because the NO element in the name fit well. That followed a lot of revisions and then a final overhaul when I took Arree Chung's wonderful picture book course through Storyteller Academy. My agent sold the book to Albert Whitman a few months later. My road to publication was not short but not long either so I would have to say it was something in between. I started writing seriously in 2011 and wrote many crappy manuscripts (I still write crappy draft manuscripts...) before I signed with my agent in 2016. It was another year and a half before I sold NOAH NOASAURUS to Albert Whitman. Considering publishing is so slow, I'd have to say that in retrospect, it wasn't that long at all. I’m working on three very fun (secret) projects right now and I cannot wait to share them! And like everyone else, I have many, many manuscripts in various stages of development. I am working on a brand new character-driven picture book that (so far) I love. I am a first-generation American. My parents immigrated to the United States in the late 60's. I love animals- I have a golden retriever named Molly, a cat, Bailey, 2 birds, many fish, and a rabbit. All of them were rescues! 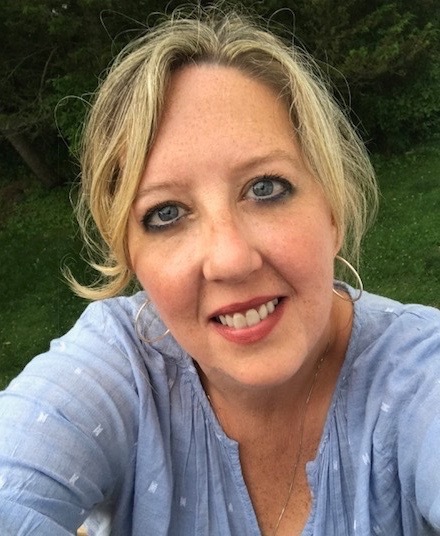 ELAINE KIELY KEARNS writes picture book and middle-grade stories. Armed with a master's degree in education, she also scours the internet for golden nuggets of information about children’s writing for KidLit411.com. Woohoo, my sweet and talented friend!!!! I am so lucky to have you as a CP! ❤️ I look forward to celebrating your many future successes! Congratulations! So excited to see your book out in the world VERY SOON. I can't wait to see Noah on shelves!! So happy for you, friend. I can't wait for this book. Congrats! I can't wait to read this one! The idea is genius! Congrats!! Congratulations again Elaine! The NO stage is a familiar one. My 9 month old has been saying Na (for no) for some time now. I'm curious. The boy that helped inspire this story, does he know you wrote this book? Congratulations, Elaine! Noah Noasaurus looks adorable. Can't wait to read about his grumpy day! Love that little Saurus, Elaine, and the way you married those two ideas for your story. Congratulations. Congratulations, Elaine! I love hearing about the story behind the story. I love the title of this book. It sounds both funny and fun. Look forward to reading it. Congrats! Can't wait to buy your book and put into good hands! I can’t wait for my copy of Noasaurus to be delivered!! I loved hearing about how you came up with this concept. You’re amazing, my friend!! Congrats!! This book sounds fun! I love how the ideas came together and that a first grader helped inspire you. Congratulations, Elaine. I love the back story for your adorable dinosaur book. Thanks for sharing. What a delightful concept for a book. Love that you got your solution to your book from a conversation with a student. Great post, Elaine! I love how your married two ideas to arrive at this clever story! Can’t wait to read it. Congratulations! Congratulations, Elaine!! Great story. And I love the cover! Hope to see you at some local book festivals. :) I live in NY, too. Congratulations, Elaine! 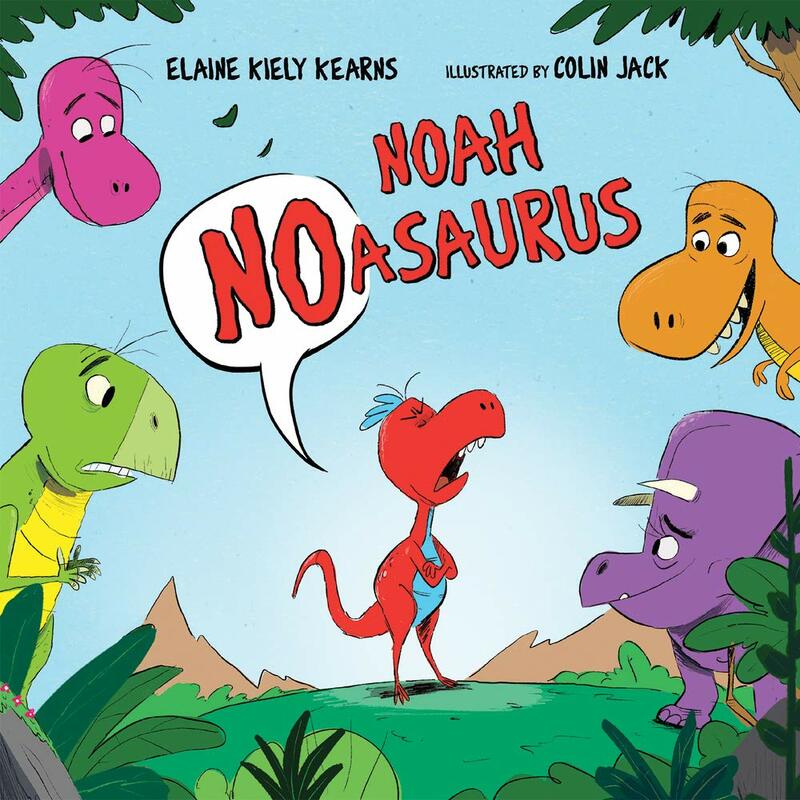 I’m looking forward to getting my copy of Noah Noasaurus!!! Congrats! Can't wait for the book! I'm so excited for you, Elaine! Congratulations on your success! Great interview!!! Good luck and much continued success!! Hi Elaine, I'm so happy for you! Good luck with the book launch. Hi Elaine, I love how you found your inspiration! This proves that ideas are everywhere and we should act on our instincts. Wishing you great success...there's nothing more exciting than seeing your first book welcomed into the world. YAY! Looks like fun. Thanks for sharing how you married two ideas to get this book to publications! This is so adorable! And a dinosaur, too! Wishing you all the best, Elaine! Thanks for all you do! Yes to ideas coming together! A story inspired by a Kindergartener I had several years ago just melded with a story about a friends dog... I pray mine turns out as well as yours. Congratulations! Thanks for sharing your journey! Glad your MS found a YESasaurus and not a NOasaurus! Hahah! Nice one! THANK YOU! Who could say no to this adorable Noasaurus? Congratulations on your #debut #PB, Elaine! I love how the idea for the story was sparked! Looking forward to reading! Congrats on your debut! Sooo excited for you, Elaine. My copy is on order so if I win a copy it will be donated to a classroom. Yay! Can't wait to read Noah!!! We love dinosaurs. My children would enjoy this.